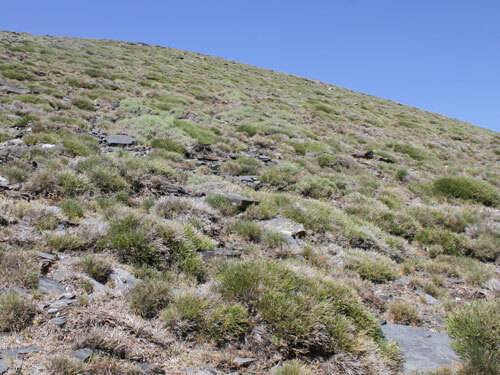 The only Erebia in southern Spain. 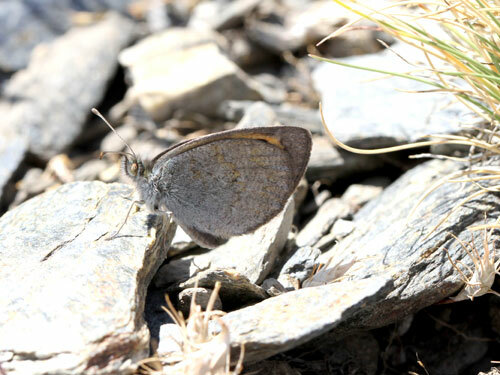 It was recently split from Pyrenean populations which are now referred to as E. rondoui. 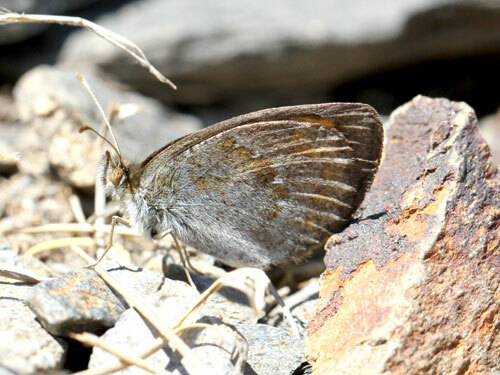 Identification & Similar species: Being the only Erebia from S Spain there are no similar species. 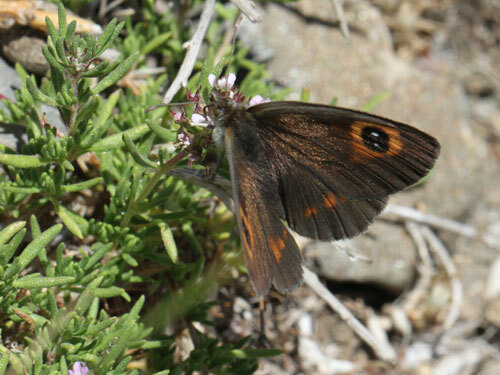 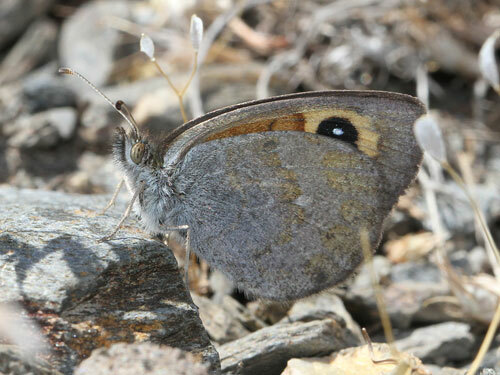 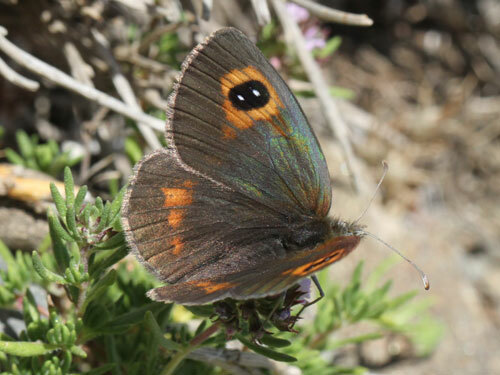 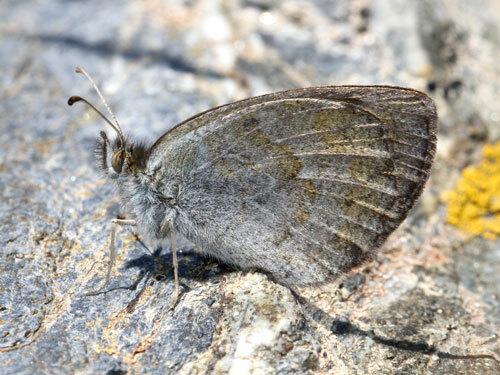 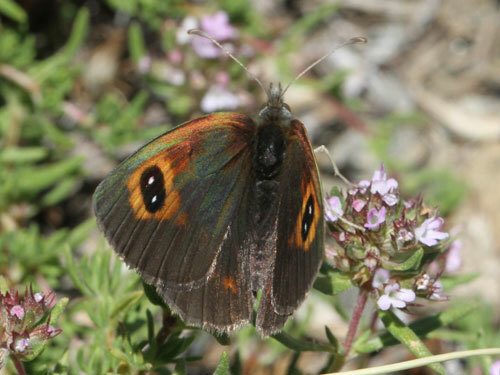 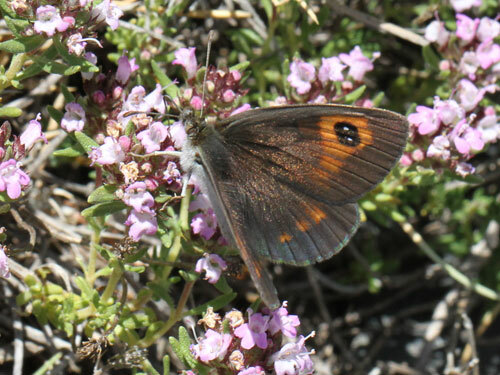 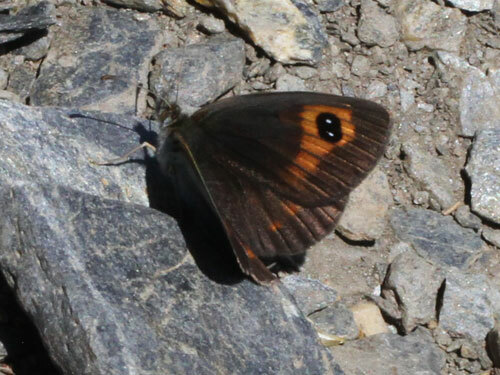 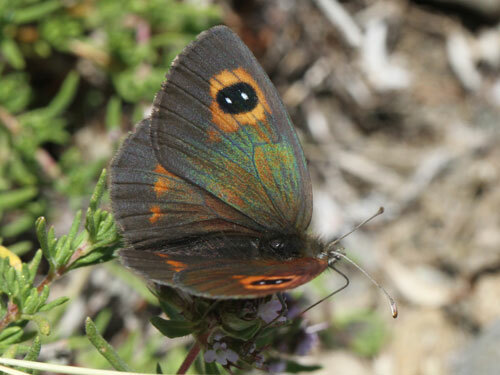 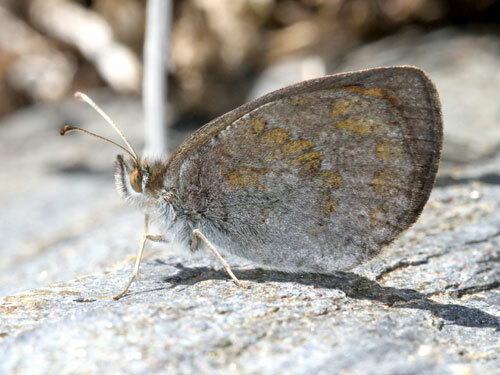 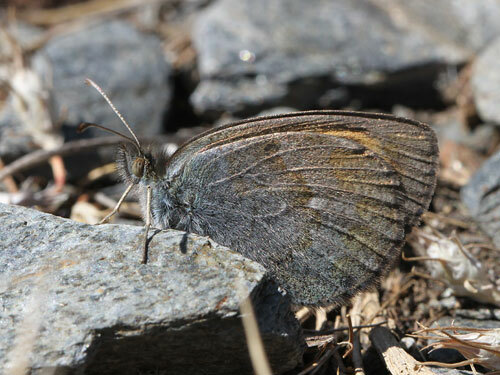 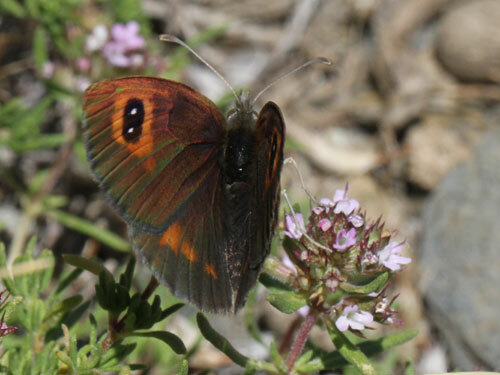 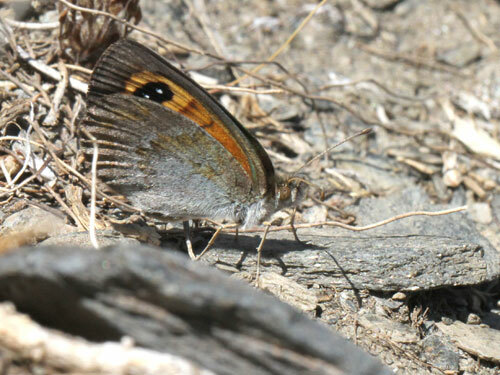 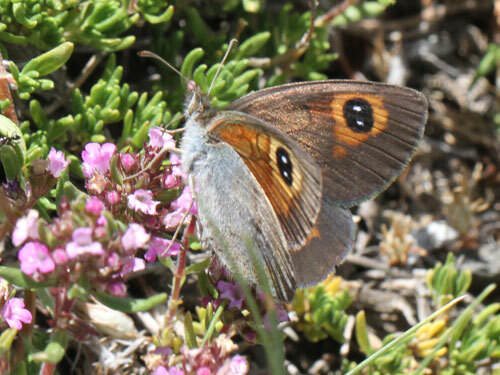 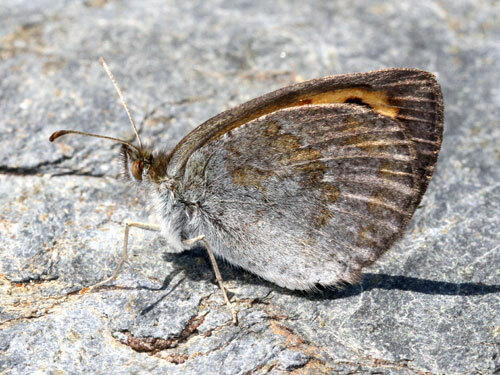 It is larger than E. rondoui from the Pyrenees and has less orange on the upperside hindwing. 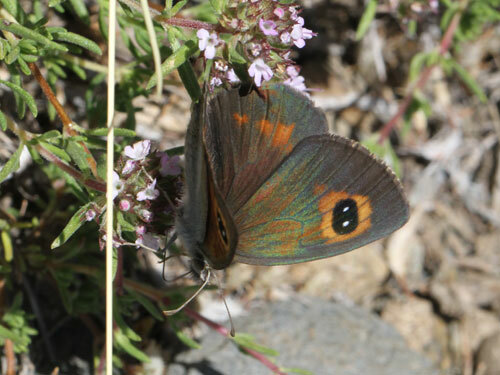 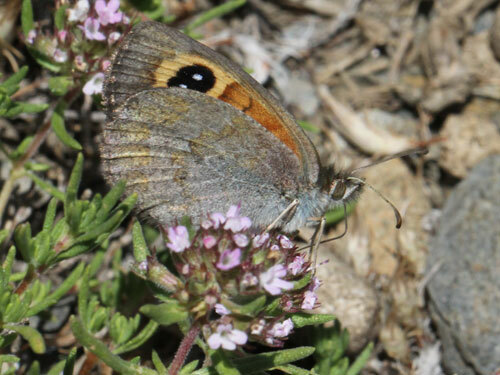 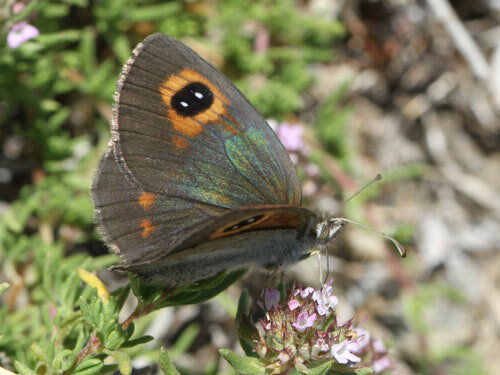 Distribution & Flight: Endemic to the Sierra Nevada. 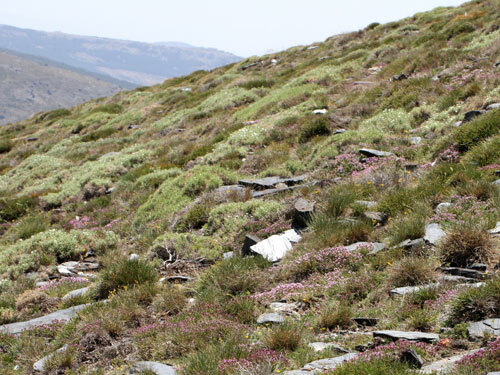 At high altitudes roughly from 2000 to 3000m. 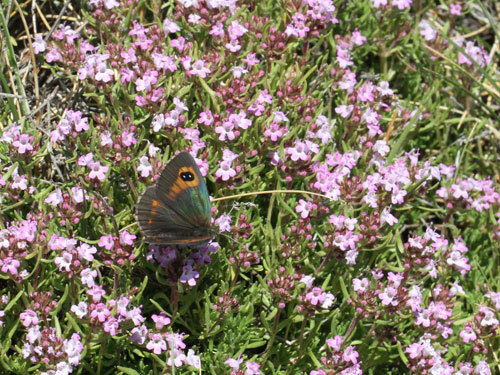 Flies from late June into August but mostly in July. 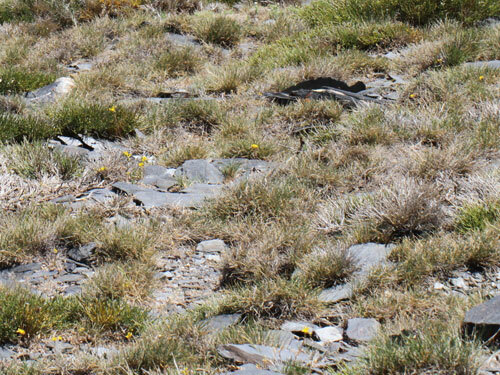 Habitat & Behaviour: Open exposed grassy flowery slopes with plenty of rocks. 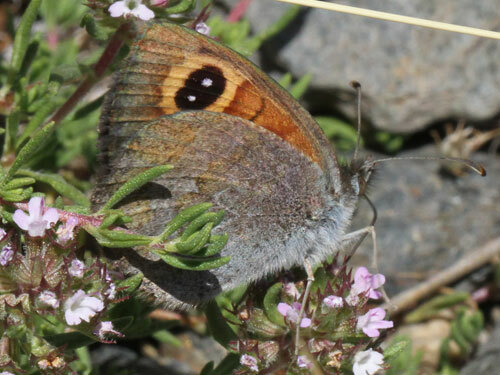 Rests frequently on rocks and an avid feeder of thyme. 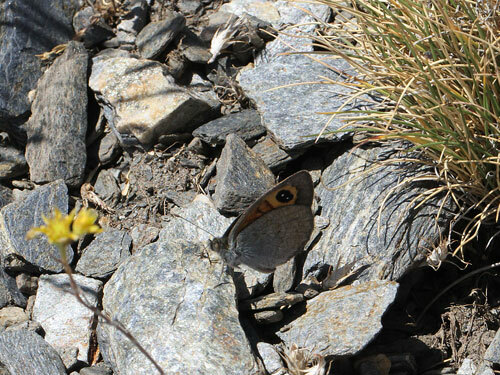 As with many species from similar open habitats it is sensitive to approach.